Manchester United seem poised for victory yet again, extending Ole Gunnar Solskjaer’s winning run to an unprecedented 11 games. At the half-time whistle, United were leading 2-0 against Fulham at Craven Cottage. A scintillating opener from Pogba with a tight angle set the Red Devils rolling. However, the Frenchman’s effort wasn’t the most memorable event of the half, as that honor would belong to his compatriot. Anthony Martial, enjoying his first start since signing a 5-year extension to his stay at Old Trafford, netted an absolutely brilliant goal to make it 2-0. While the goal in itself was a beauty, an even more remarkable feat was its build-up. Won by the United midfield and swiftly passed to the young Frenchman, Martial did all the work on his own in a pacey run to the penalty box, effectively confounding the Fulham defense. Red Devils stormed to Twitter to let their approval of the former Monaco man become apparent. 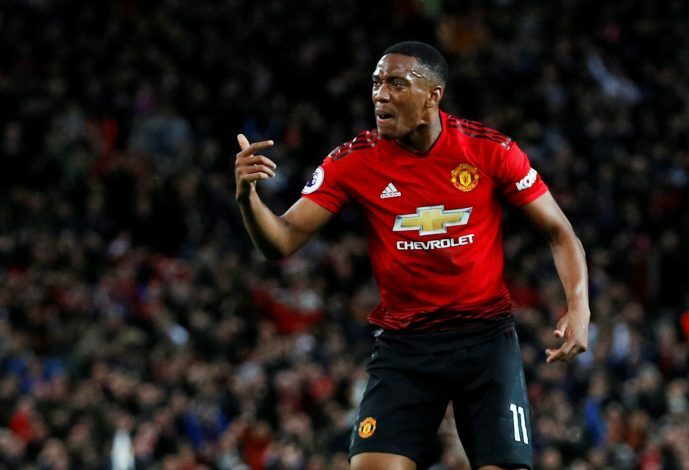 A good deal of the tweets commented upon how Mourinho repeatedly sidelined Martial for being sub-par and that United would have lost out on the sheer brilliance that their no.11 packs if they had sold him as the Portuguese gaffer earlier intended to. Martial FC was in full attendance to laud their beloved forward and it seems likely that the PSG defense will have a daunting threat to deal with during their mid-week Champions League encounter. For now, it will be interesting to see how many more goals the youngster will be able to net this season. It is obvious that the Solskjaer effect is doing him good. Now, fans will be hoping that the Norwegian will stay on to better Martial even more.